IP address-matching powers for police and spooks are to be pushed through Parliament with the blessing of the junior member of the UK's Coalition government, after the Liberal Democrats claimed today that the Snoopers' Charter was "dead". The move has been expected for some time. In May 2013, it was confirmed in the Queen's Speech that narrow provisions were to be put in place to aid Blighty's cops and spies to scoop up information they needed to supposedly protect the British public "in relation to the problem of the matching of IP addresses", as her Majesty put it. This morning, Home Secretary Theresa May once again lobbied for even more online surveillance powers, after the Lib Dems refused to support the Tory-led government's plans to bring in more measures under a resurrected Communications Data Bill. The bill provides the opportunity to resolve the very real problems that exist around IP resolution and is a step in the right direction towards bridging the overall communications data capability gap. 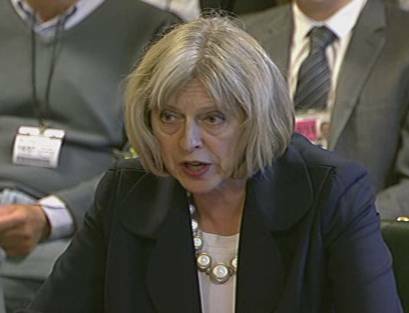 May has been frustrated in her failed attempts to massively increase the surveillance of Brits' online activity. The LibDems couldn't resist gloating this morning about what it insisted had been a victory against the Home Secretary's bungled efforts. This is exactly the kind of thing that we need to take action on, rather than proposing an unnecessary, unworkable and disproportionate Snooper’s Charter. There is absolutely no chance of that illiberal Bill coming back under the Coalition government – it’s dead and buried. The issue of IP address matching only resurfaced as a result of deeply misleading claims made in Theresa May's Conference speech. That is what has prompted the Home Office to stop sitting on their hands. This announcement is welcome news but comes after months of Conservative foot dragging. They always bang on about new security powers but have done nothing about IP addresses since we called for it in Spring 2013. While a number of nationals are reporting this morning that the Tory-led government's internet surveillance plan is back on the agenda, it's important to note that it never really went away. The LibDems will be hoping to score some cheap political points with voters today. But it has thrown its support behind measures laid out in the Counter-Terrorism and Security Bill. Are you sure about this, Prime Minister?